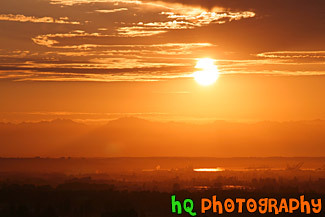 A beautiful orange sunset taken looking at Tacoma, Washington. In this photo you can see the reflection of the sun in the sound waters in Tacoma. Also in the background you can see the Olympic Mountains faintly.